Have I introduced you to my husband, Leigh Powell, who is a Business Strategist and Mentor with YTM ? His expertise increases our opportunity to help and support business owners and professionals. We both grew up in small business families. My parents sold caravans and Leigh's parents were involved in retail. We both witnessed first hand how challenging small business can be. Sometimes you are just not sure which way to jump, and can benefit from bouncing ideas around with others who understand or have faced similar situations. We also learnt that it is important to set aside time to work "on" your business. 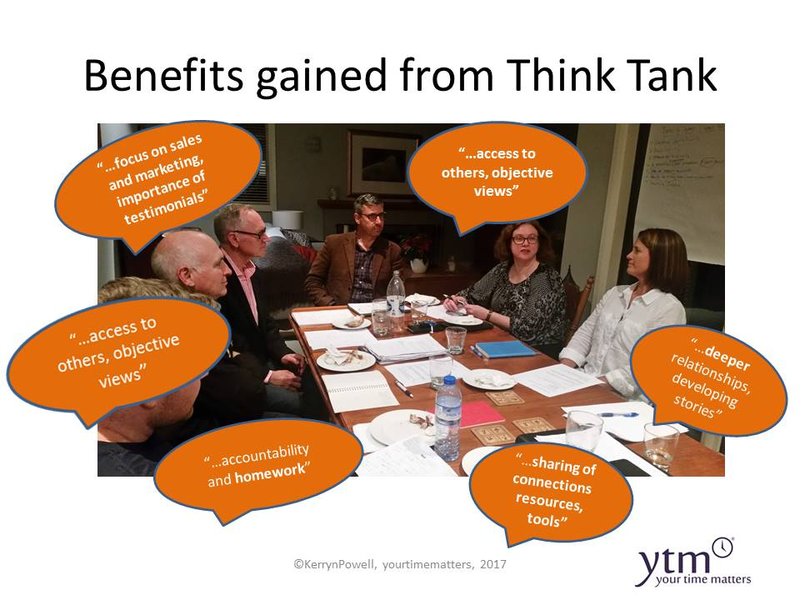 So two years ago we introduced the YTM Think Tank program which Leigh facilitates. The sessions tease out some of the issues and ideas participants have around their business with a diverse, likeminded group of business owners who offer up and share thoughts on on a range of topics, including their proposition, how to find target markets, the collateral and evidence to demonstrate how a client’s problem can be solved, and more. The design of a YTM "Think Tank" is fluid depending on needs of the group, and encourages participants to dig a little deeper into business related problems, often solved by sharing and storytelling and by so doing, leveraging the unique 150+ years of experience we have in the room. The background to this testimonial is that we brought together a group of 7 business owners for three sessions allowing the individual owners to experience a bigger picture, share, leverage and network their collective experiences, identify problems and road test solutions. Leigh created a safe place where relationships developed and fostered engagement. It was his job as a facilitator to stimulate new paradigms, create interaction, challenge and prompt, and encourage input from all points of view. Each business owner set their own goals and determined a measurable outcome specific to their business. The reflection time, role plays and discussion opened our minds and conversation. Generally, we have found that all businesses have similar problems however translating solutions can be very different for various business maturities and types and of course owner’s personalities. Leigh was able to harness the differences in the room so that everyone felt heard and able to voice and share their experiences, both as a mentor and equally as a mentee. Each person took the lead providing questions they would like to put to the group. This is true and real learning and sharing. We have really enjoyed running the Think Tanks, forming deeper relationships and watching the increase in confidence and development of the various businesses and look forward to the next program. 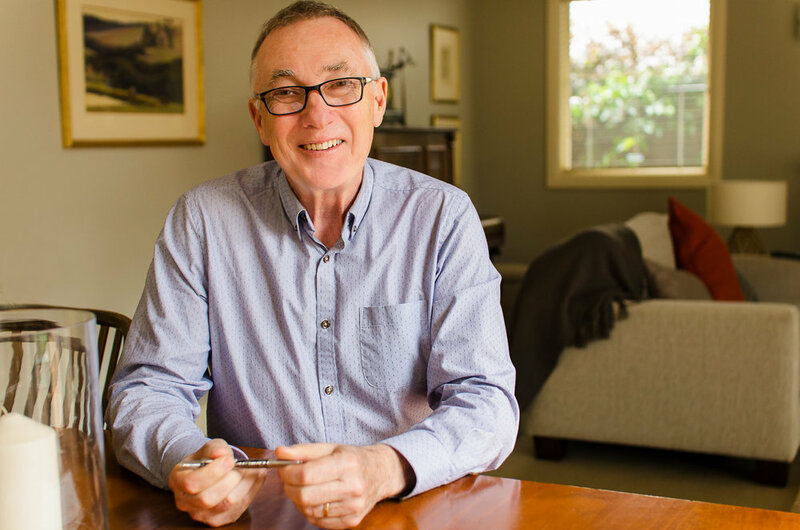 If you would like to learn more about THINK TANK , please reach out to Leigh on 0422 601 950 or CONTACT US HERE . We would love to help you learn, grow and achieve!